Michelman, Morrison and Taylor will assist the Western division board in managing the division’s grant focus areas, grant guidelines, events and volunteer activities. The board oversees the organization’s operation in Los Angeles and throughout California, where the division is headquartered, as well as in IICF’s Colorado and Arizona chapters. M&R featured and Sanford Michelman quoted in Los Angeles Business Journal Regarding New Westwood Digs! 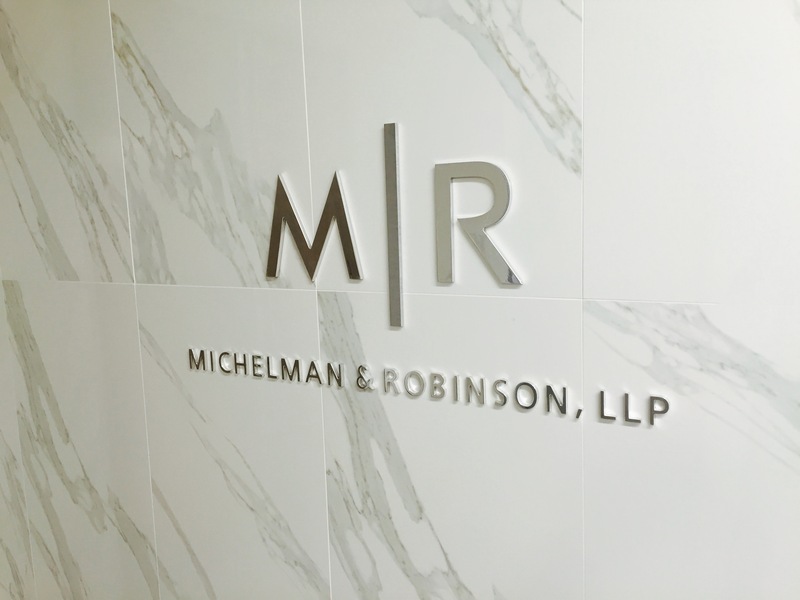 After outgrowing its offices in Encino, Michelman & Robinson has moved into a much larger space in Westwood. The law firm now occupies the 19th floor of the Oppenheimer Tower at 10880 Wilshire Blvd., which offers about 15,000 more square feet than its former Encino space, said Sanford Michelman, the firm’s co-founder and chairman. The firm – which had 34 attorneys in Los Angeles County in March, according to Business Journal data – is growing quickly, Michelman said. Roughly 20 more lawyers are slated to join the firm within the next six months or so. 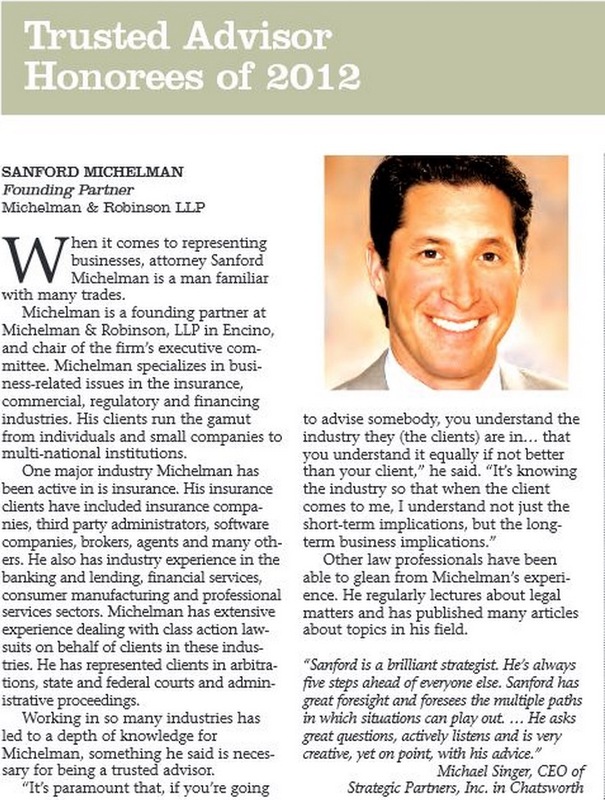 Health care, hospitality, insurance, advertising and digital media lawyers are in highest demand at the firm, he added, noting that the trend is likely to continue. Michelman said his firm will have to lease additional space in the Oppenheimer Tower within the next two years or so because of its rapidly growing headcount.